Guessing in English may not be so easy, but if you know the right words for it, you’ll impress everyone with your English! What to say when you don’t know what to say? This quiz will help you learn some useful words you can use when you don’t know the word for an object you’d like to talk about. It will also help your English flow naturally! Do you know what to say when you are not sure? Take this quiz to practice guessing in style! Type the missing word – including its first letter – in the space below. 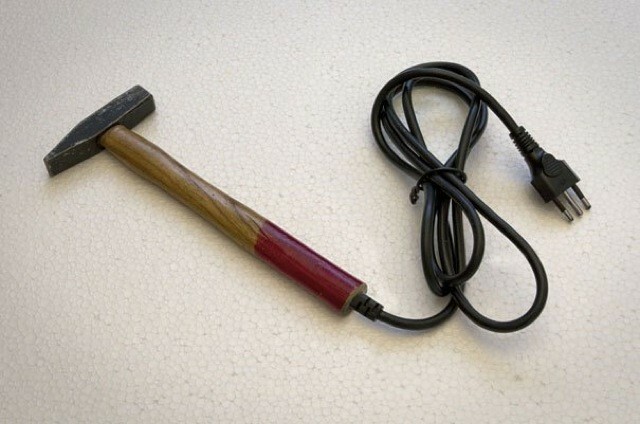 It’s h…………………… to say, but I guess it’s an electric hammer maybe. I’m not s……………………, but I think it’s a hammer. Is it not? I’ve never seen a…………………………. like that before, but I guess it’s a hammer, don’t you think? Good question. I’d s…………………………… it’s a hammer. But how come it’s attached to a cord? It …………………………… be an electric hammer, but I’m not sure. Maybe some k………………………………… of hammer? It’s a, um well, how should I ………………………… it? Some sort of hammer perhaps. As a m……………..of fact, I don’t think there is such a thing. If you like this quiz, share it with friends and colleagues by using the button below.